Wow. I think that’s the one word that sums up the last year of my life. 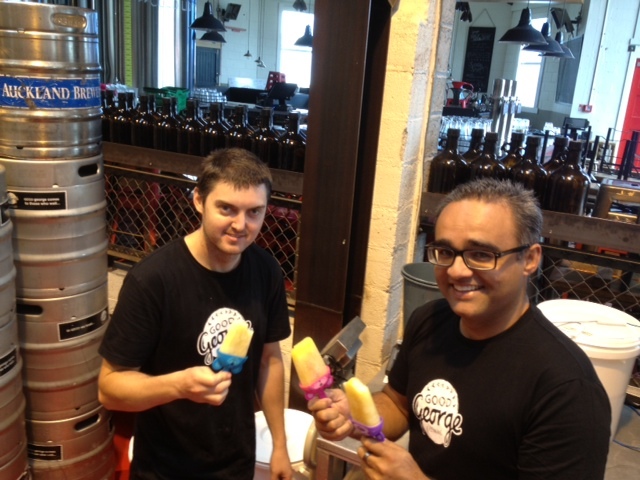 From leaving Epic Brewing in Auckland to moving down to Raglan and taking on the head brewer role for Good George Brewing to heading to Fiji and Canada to help out with some brewery consulting to judging at the World Beer Cup in San Diego, the NZ Brewing Awards back home and the excellent National Homebrew Competition held here in Hamilton to running the brewery here to hiring the fantastic Nate Ross (ex Kernel Brewery in London and Renaissance Brewery in Blenheim) as my assistant brewer and being in the process of hiring yet another great assistant brewer, Jean-Baptiste Martineau from France (whom due to the colour of his locks and Heriot-Watt training, I have dubbed French Martin Dickie from Brewdog) to now heading over to the UK to brew 40 000 litres of a nice, hoppy black ale called Pacific Pearl (at Batemans Brewery in Lincolnshire) for the JD Wetherspoons International Real Ale Festival. That’s why I decided I needed a long sentence. It’s been a busy and brilliant year. So what has been happening here in the little suburb of Frankton? I’ve been working hard on our core group of beers and ciders, never quite 100% happy with each batch, but that’s what been a brewer is all about, right! I’m a massive believer in continuous improvement and this also ties in a lot with taking our customers on a bit of a journey, which is definitely one of the things I truly believe in and am hopefully achieving. The original range of our White Ale, Sparkling Ale, IPA and Amber Ale as well as our Cider, Drop Hop Cider and Doris Plum Cider have all been tweaked at every brew which has been great fun. I love experimenting. There is an important reason behind this. 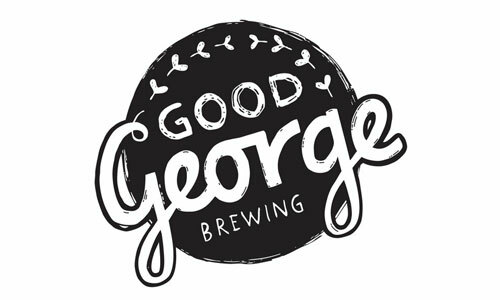 To begin with, the majority of people who visit Good George and have become our regulars haven’t had a lot of experience with craft beer. They may have tried the odd bottle or pint, but I keep noticing that the majority of folk would rather start off in their comfort zone and learn a little before venturing into this large, unknown world of different flavours. I suppose it’s quite interesting that our little brewpub used to be The Church of Saint George. The beers that we brew here are about conversion. Moving people away from the cheapest 24-pack of bottles they can get at the supermarket, realising that craft beer isn’t necessarily just about big, bitter beers (which can be quite scary and shocking for those new to the world) or thick, rich coffee and chocolate stouts (which again can be a bit flavour-forward for a lot of people who are used to drinking relatively flavour-neutral brews). I’ve had a lot of time to think about this. I’ve spent a lot of my brewing past making bigger flavoured brews and love doing this, though the more I work and play in this industry, the more I realise that there are a heap of people out there that just don’t really know where to begin. They may pick up the odd bottle of craft at the supermarket to give it a go but are put off by the flavour or bitterness or sheer intensity! These are things that a lot of us craft beer lovers and beer-geeks strive for in a brew, but we’re a minority. Luckily though, we’re a minority that wants to turn the world of the uninitiated into a world of great beer lovers. That’s a special place to be and that’s always in the forefront of my mind. I think back to a question from a great NZ brewer who came to visit soon after we opened. He tried the beers and looked at me quite quizzically. “You wouldn’t have brewed these types of beers before, would you?” he asked. By this, he was referring (well, hopefully!) to easier drinking brews with a little more balance and subtlety than others I’d done before. “Of course!” was my reply. 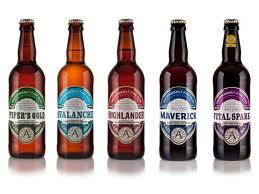 I told him of the wonderful Fyne Ales brews… Highlander, Piper’s Gold, Maverick, Vital Spark. Of Thornbridge with it’s Hopton, Lord Marples, Brock, Wild Swan, Jaywick, Ashford and so many more. Beers that were lighter in strength, were rounded and full of flavour and balanced and drinkable. Each with their own personality and enough accessibility to allow those that don’t know a lot about the flavours and aromas of craft to appreciate them and begin them on the road to being a beer-lover. The other great thing about brewing beers and ciders that appeal to a good cross section of people is that it helps us to grow the business. The great thing about growing a business is that it then gives you the resources to do more fun things. Interesting, eclectic beers, barrel-aging programmes, experimenting with different yeasts and bacteria and having the staff and time to do these things. We’re getting closer to this point and this is another source of excitement! We’ve just had a bit of a play with something a little different… Nate and I sat down with a selection of hops, got our noses primed and decided on what we think is a great combination that we’ve put into our 5.5% Black Pearl, a hoppy black ale that is a bit of a brother brew to Pacific Pearl that I’ll be brewing in the UK. So it’s a countdown now until England beckons again. I’ve missed the wonderful world of cask ale, I still nod disappointedly at the generic Kiwi terminology for British Ale… “That’s that warm, flat stuff isn’t it?” In fact I really hope we can get a good cask ale programme cranking here at Good George… one for the future I think and I’m looking forward to it! Teaming up with Bateman’s is really exciting. I’ve been working closely with their Head Brewer, Martin McCullimore on getting this recipe exactly where I want it. 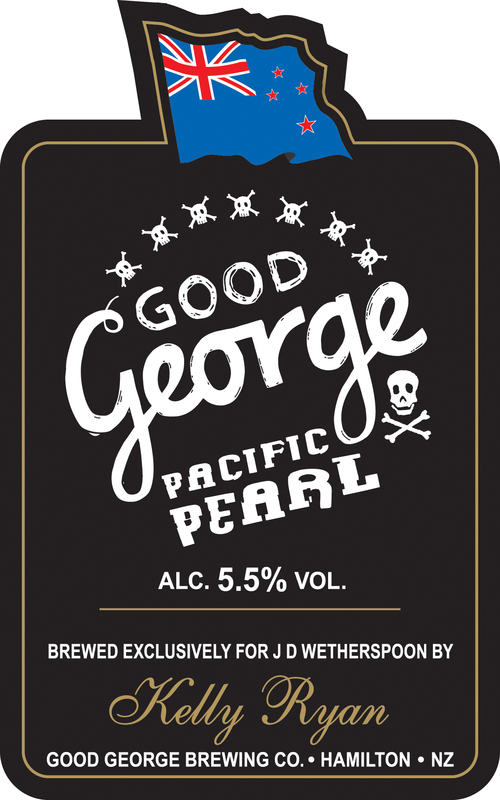 Pacific Pearl is going to be jam-packed with some of New Zealand Hops’ finest… Pacific Jade, Pacific Gem, Pacifica and because it’s truly Pacific (and I can’t source any NZ Chinook in the UK), we’ll even throw in some US West Coast Chinook to bring in a hint of piney intensity. We’re dry-hopping this brew, it’s going to be rich and bitter and I can’t wait to brew it (though a 6 am followed by a 5 am start after 40 or so hours of flight and travel is going to be a good challenge). If you’re in the UK and are close to a Wetherspoon’s pub in April, please go and try it and let me know what you think of it! 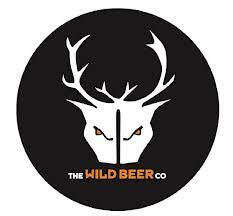 Because I’m travelling all that way, I’m also going to team up with my great mate, Mark Tranter, the (soon-to-be) former head brewer and wizard behind the fantastic Dark Star Brewery in Sussex and head to Somerset to put down a brew with that whacky, wild duo of Brett and Andrew at Wild Beer Co. It seems fitting with Good George being on Somerset Street here in Hamilton that I do something fun with them! And fun it shall be… I can give you a few hints on what has been going on in our twisted brewing minds… Think Hibiscus, Passionfruit, Pink Peppercorns, Barrels and Brettanomyces and you’ll begin to form a picture of what is going to be an extremely exciting beer! I’m also going to head up to the SIBA Beer X in Sheffield for a day to catch up with lots of brewers hopefully as well as pop in to my old home of four years, The Coach and Horses in Dronfield, to catch up with all of my great friends and locals there. Hopefully some of the Thornbridge crew as well! Thanks for another informative (and verbose) blog, I always feel smarter after reading them! We’re about to plan a day trip to Good George, come say hi and check it all out 🙂 Will be in touch! Great read I feel lucky to have another choice for great beers and this has easier parking than House! Loved the Coffee Amber and hope that pops up again soon and tried the Black pearl which was fantastic and definitely brought about conversion at my table. You have a great team going and I hope to sample many many more great beers from you (as many as the wife and wallet allow anyway). Wow, thanks heaps for the awesome feedback Chris and chuffed to hear we’ve converted some folk! Will pass on your appreciation to the team. See you again soon! which day are you at SIBA Beer X? I’ll be there Wednesday to judge. Thursday – Sunday is Edinburgh for Bieres Sans Frontieres planning meeting for GBBF. Fantastic! Busy boy 🙂 Hope it all goes well and your selections are delectable! you’re an inspiration Kelly… great blog. Thoughtful, personal, emotional. And pragmatic. A great combo for a craft brewer. From the sounds of what you have going on there I think you’d really like Temple Brewing in Melbourne. Check them out the next time you’re over that way. Thanks Stu! Really appreciate the comments. Have heard great things about Temple Brewing and drooled over their awesome setup online. Will definitely check them out next time I’m over! Cheers! Yeah, be sure to pop in when you’re back. Lots of tasty beverages!